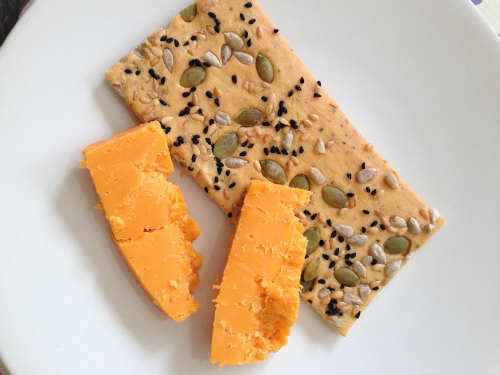 In my local farm shop in Norfolk I was pleased to find a New cracker made from chick pea flour. From the makers of the gluten free one pot meals Easy beans, there are now 3 varieties of crackers. 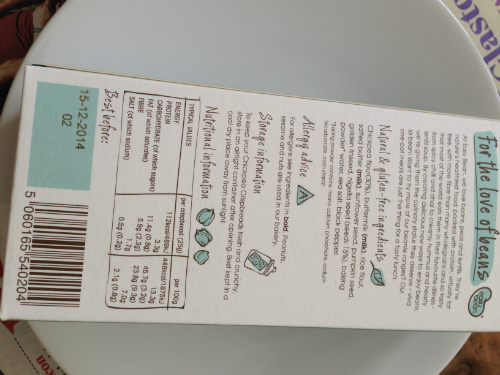 Completely gluten free and made from gram flour ( chickpea flour ) in a gluten free mill. The company are based in the UK in Somerset and the company founder is Christina Baskerville. I chose Seeds and Black pepper, also available are Moroccan spice and Mung bean and chive. The crisp breads were a real change, they had a good ‘snap’ and were very tasty. Most definitely a huge improvement on a plain cracker! Now I love my cheese! and these made a great accompaniment. They would also be delicious with homemade hummus or guacamole, or an accompaniment to soup. These crisp breads will be great for picnics and they will most definitely be coming with me to Latitude Festival this month. 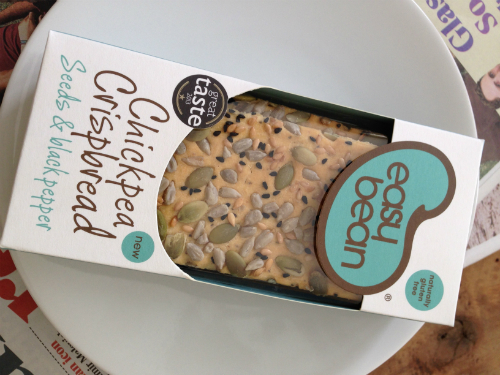 I was pleased to see Easy bean at the Allergy and Free From show at Olympia, and have a chance to meet founder Christina Baskerville in person. 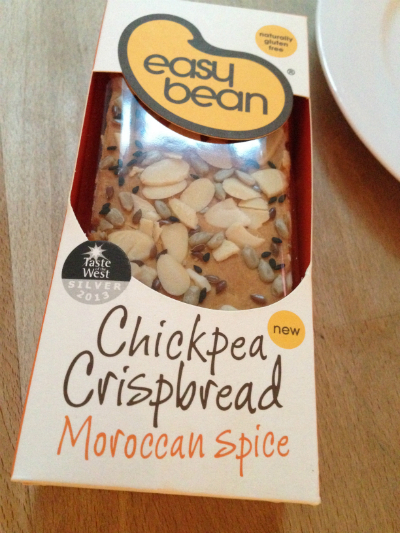 I was able to stock up on easy bean crisp breads and try the moroccan spice variety . A subtle moroccan spice flavour, really very nice! not over powering at all.